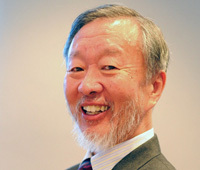 Sir Charles Kao, the Noble Prize winner in Physics in 2009 for his ground breaking research in fibre optics, was a graduate of Electrical Engineering programme at the University's predecessor, Woolwich Polytechnic, in 1957. The University of Greenwich and The Hong Kong Management Association (HKMA) jointly offer the LLM International & Commercial Law as a continuing professional education programme for professionals, senior management and executives through part-time studies. The programme aims at assisting students to develop a systematic and in depth understanding of areas of international law and to provide with the skills necessary to analyse and evaluate complex legal problems and related issues. With the growing importance of world trade and the global community, business executives and legal professionals are expected to look beyond national jurisdictions and understand issues of international law and international commercial law. Enterprise and conglomerate employers now place a high premium on graduates with international commercial law knowledge. The LLM programme focuses on the law and legal framework governing the international community, as well as various legal issues surrounding international trade and global markets. Upon completion, the students should be able to demonstrate the ability in evaluating critical current legal position, develop the capacity for independent thought, judgement and initiative, and to demonstrate the ability in presenting detailed knowledge of a complex agreement. Why choose the University of Greenwich LLM International and Commercial Law? The LLM awarded by the University of Greenwich through studying in Hong Kong which carries equivalent academic status and recognition to the LLM degree conferred by the University in the home country. 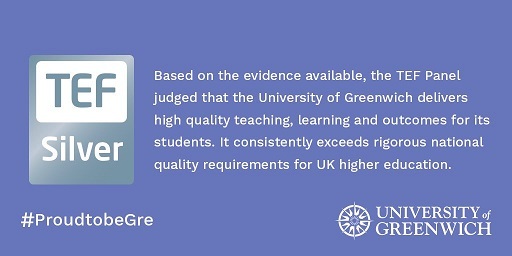 The University of Greenwich is an internationally recognised university and its degrees are recognised worldwide. The Programme is a fully accredited British university degree. Participants can complete the Programme in 12 months under 100% assignment based assessment. No examination is required. The Programme is taught by experienced local associates. They are practising lawyers or academics in legal studies. The LLM Programme contains SIX modules of which the first five are taught modules and the final one is Dissertation. The entire programme is scheduled to be completed in 12 months. Common Law Foundations, Research Methods in Law and Corporate Law are core modules for students of both May or September intakes. Students of May intake will study Banking and Finance Law and International Trade Law in the second term while students of September intake will study Intellectual Property Law and Competition Law instead. Regarding the Dissertation, students will receive guidance and advices from supervisors assigned to them. Applicants educated in a language other than English should have an IELTS overall band score of 6.5 or above.